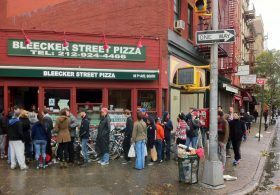 Brookfield Property Partners announced on Monday it has acquired seven retail storefronts across four properties in the West Village, an attempt to rescue retail in a neighborhood which has had a high rate of vacancies for years. The company hopes to attract e-commerce companies that are interested in testing out brick-and-mortar locations. The properties, found along Bleecker Street between West 10th and West 11th Streets, measure 24,000 square feet. Brookfield paid New York REIT $31.5 million to acquire the properties. Image: Gary Burke via flickr. 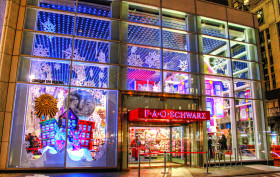 Beloved toy store FAO Schwarz has announced that it will shutter its midtown Manhattan store on July 15, citing rising rents, reports Bloomberg. Founded in 1862, the store, which is owned by toy chain Toys “R” Us, Inc., is the oldest toy store in the United States. The brand has long been known for its high-end dolls and life-sized stuffed animals and as the stuff of many a tiny tot’s fantasies. What does the future hold for the iconic toy store?